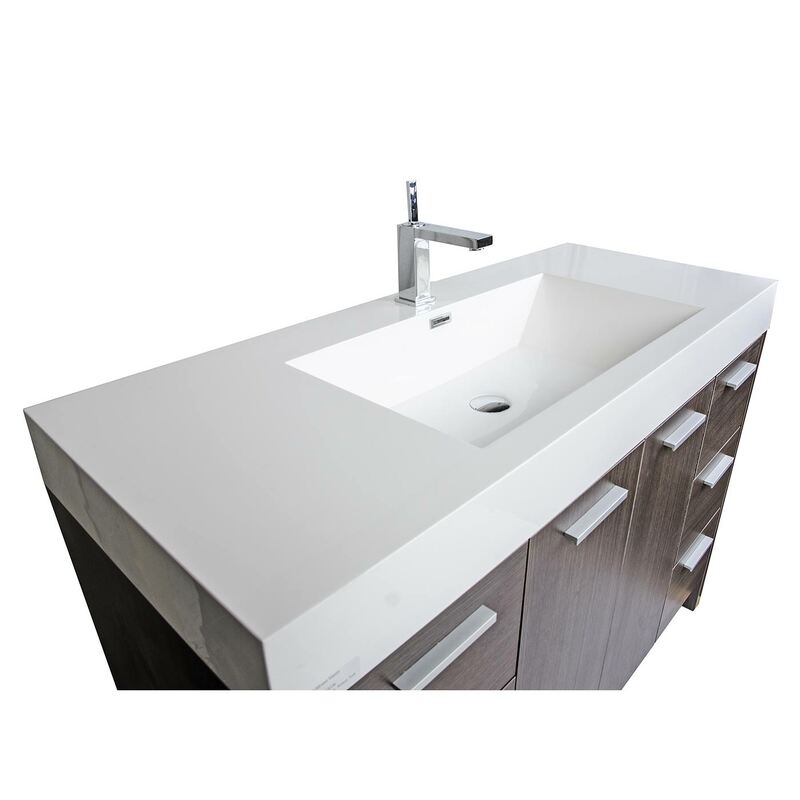 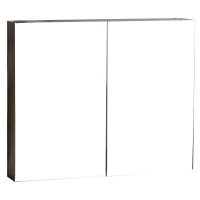 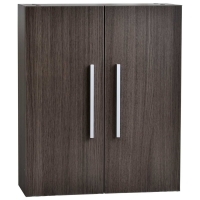 The 47.25" vanity is defined by its grey oak finish and clean white resin top with inergrated sink. 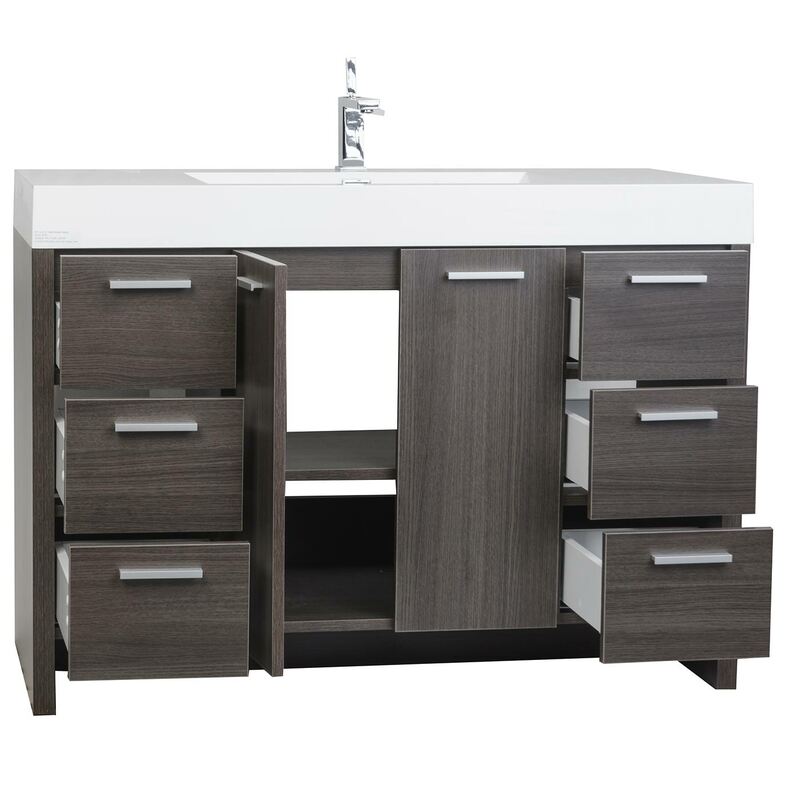 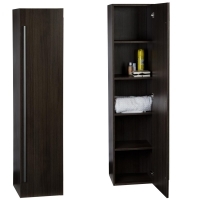 This beautifully assembled vanity provides large storage area behind its two doors and six functional drawers, the shelf of the cabinet is removable and adjustable for easy plumbing. 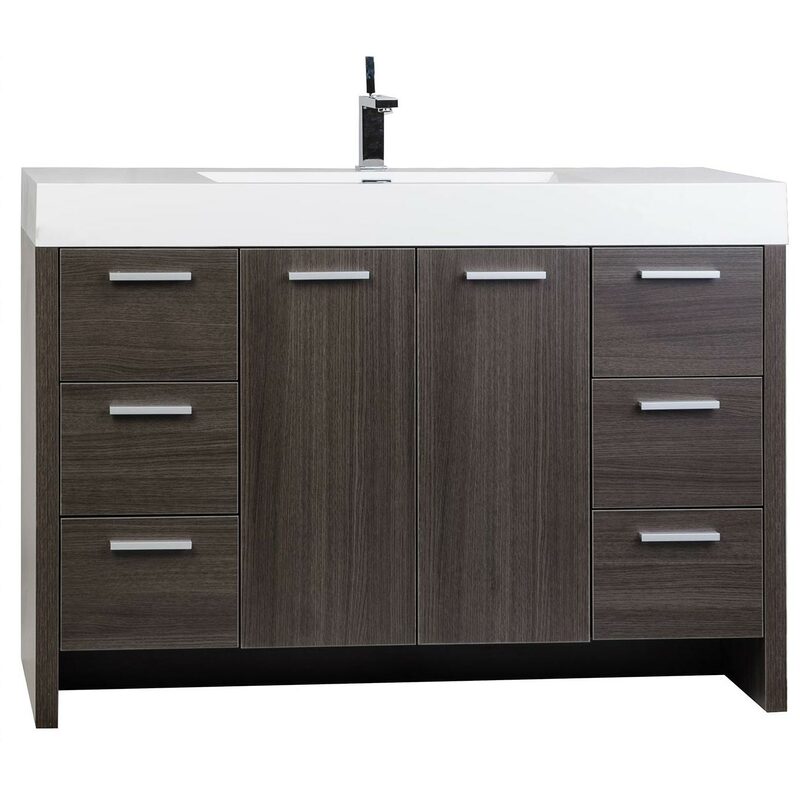 The integrated sink combines with grey oak-finished wood and brushed chrome hardware to complete this bathroom decor.